Google taking Chromecast to the UK | Android Blast! Google launched a nifty little gadget last year without much fan fair. Chromecast is a little $35 HDMI stick that plugs into your TV and allows you to stream content from your tablet, phone, or computer. Amazingly, Google seemed to under estimate the demand and so far Chromecast has only been available in the US. Apparently, Google plans to launch the Chromecast in the UK within a few weeks. UK retailer Currys told TNW it plans to have the Chromecast by March 1. The date has not been confirmed, and Google has made no comment, but it seems evident that Chromecast will debut in the UK sometime soon. Chromecast is just starting to take off as several new apps have been added recently. Google has also created an SDK that will allow developers to create apps for Chromecast. Earlier this week, Google launched an official Google Cast SDK so that any developer could add Chromecast support for their native apps. Since the announcement, Beats Music and Rdio have confirmed that they�re now working on Chromecast streaming for their services. 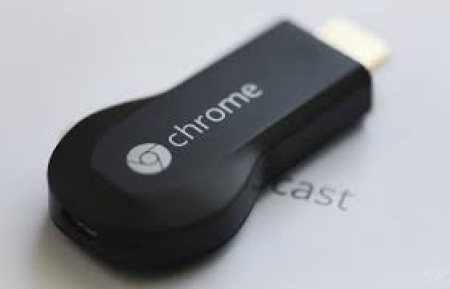 With more developer support Chromecast is sure to be successful. Google will go head to head with Apple's Apple TV and Roku.